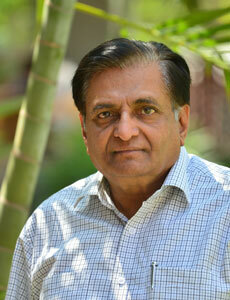 Shri Nandkishor Kagliwal has done his MS in management from USA, is a first generation entrepreneur. He is founder-chairman of Nath Group of industries. Nath group has presence in seeds, foods, paper and industrial chemicals. Nath Seeds is an intensely research oriented pioneering seed company in India. “Nath Seeds” is a household name in the farming community. The company works closely with over 10,000 seed growers and produces seeds on about 25,000 acres of land and provides quality seeds for more than a million acres of land. Nath Group has set up a mega food park near Aurangabad providing state of the art, integrated infrastructure for food processing industries. Nath Group has two paper mills located at Aurangabad and Vapi producing value added industrial and cultural papers. The group also has substantial presence in manufacturing of industrial chemicals. Shri Nandkishor Kagliwal is deeply involved with agricultural research, rural development, education and health care. He has been instrumental in setting up a modern hospital and the now acclaimed Nath Valley School and various other social-cultural institutions in Aurangabad region. Shri Kagliwal served as a member of Planning Commission of Maharashtra and also as president of Maharashtra Economic Development Council (MEDC) for five years. He was on the board of State Bank of Hyderabad, IDBI and SICOM. Currently he is on the board of governors of Federations of Indian Export Organisations (FIEO), MEDC and Central Institute for Research on Cotton Technology (CIRCOT) and Honorary Commercial Attache for the State of Nebraska, USA.